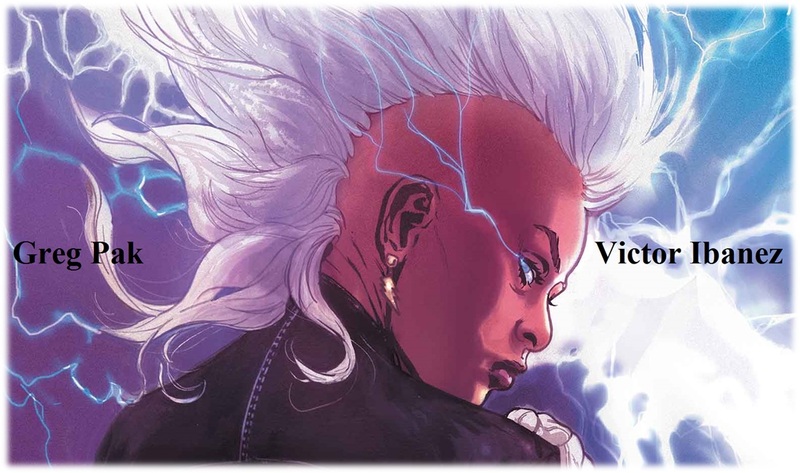 New Details on Storm's Ongoing Series! To say the internet is ablaze with news of Storm’s upcoming solo-series would be an understatement at this point. Now thanks to Newsarama who have a small but insightful interview with writer Greg Pak about the series and what we can expect as fans of “the first lady” of the Black Superhero pantheon. Here a few tidbits with a link at the end to the whole thing. Thanks Newsarama! Pak: In a seemingly idyllic corner of the Caribbean, Storm takes on massive natural threats and uncovers even more deadly man-made dangers — while dealing with a shocking challenge in the heart of the school in Westchester. We’re making a big statement about our hero and her world and setting up some pretty huge things with this first issue and I strongly encourage you to pre-order today with your local shop! Caribbean you say? Hmm, as a Caribbean native that sounds good. Lord knows most writers pretend the Caribbean and it’s natives don’t exist. Milestone was the last publisher who truly represented with Masquerade who was supposed to be Haitian but later had that changed to Jamaica, The Puerto Rican Tech 9 and the Dominican Fade and Flashback. Good time sand good memories! Pak: Storm’s one of the X-Men’s most valuable assets and frequently their moral center. But she’s been a street thief, a goddess, a persecuted mutant, and a queen — she’s seen everything and through hard earned experience has learned to empathize with oppressed people everywhere, not just mutants. So we’re going to explore the kinds of crises that only Storm would notice, the kinds of challenges only she will rise to. And, of course, we’ll see what kinds of problems that may create for her and her fellow X-Men. I like the sound of this and as fan Doctor Deadpool pointed out in our discussion on the series, we would very much like Storm to receive the kind of treatment in her series that Wonder Woman gets from DC Comics. She is a major player and quite honestly Marvel’s equivalent to DC’s Wonder woman. 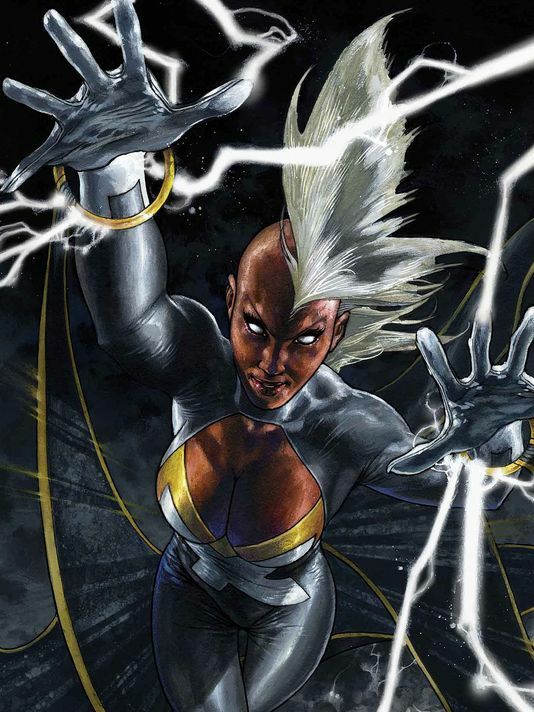 There is no other female character that marvel has with the instant recognizability and the emotional pull of Storm. Sorry She Hulk and Ms. Marvel Storm is Marvel’s most popular woman this side of Phoenix. I’m curious though if she will have the same type of crusade Wonder Woman had back in the late 90’s which put her at odds with pretty much everyone from Batman to Superman. As the “goddess of peace” she got deeply involved in putting a stop to war in man’s world, often blurring the line between what should or shouldn’t be done in the name of peace. That type of ambiguity would be a nice spin on the classic Storm without much compromise to her general continuity. On the other hand as headmistress of the Jean Grey school she can only do so much in the public eye without losing her place at said school. You mean the Caribbean is a real place? I guess all those nasty letters I wrote to Disney complaining about their dirty lies and one-man protests of ocean liners seem a little silly now. Jokes aside, now that I think about it Storm is probably Marvel’s most beloved and well-known female character. The only one close is maybe Black Widow by virtue of being in The Avengers. Glad you agree with me on Storm’s notoriety to Marvel. I disagree with you about the Widow though. Black Widow’s recent popularity is noteworthy but she still can’t compete/compare with Storm or Phoenix from the X-men. Both have mass market appeal that the Widow won’t have for years. Despite appearing in Iron Man, Avengers and Captain America. Oh, I agree. Black Widow suffers from being too boilerplate- I can think of several female characters that fill the same niche. She-Hulk and Ms./Captain Marvel have a similar problem. They just happen to be the most notable examples of an archetype. Exactly DD! Storm is up and down originality, her execution may be off at times but her design, powers and background make her a diamond in the rough! I just hope that this time the writer acknowledges and understands this and does justice to the character. I like the idea that the writer recognizes ,that given her background ( and her nature) Ororo would notice things (eg – crisis’s/suffering / injustice ?etc.) that others would not notice or would not think were important or were their business or were too “complicated ” . The upcoming story arc as it is described sounds interesting. So now I am a little more hopeful and positive on the project . I agree with you that Storm is Marvels equivalent of Wonder Woman and deserves similar respect and attention and treatment. I’m curious though, what would you want from this new series in terms of story, continuity and characterization? In terms of continuity, rather than being separate or stand alone I would like these new adventures to take place with in the current Marvel Universe and that all the other characters would know about or be aware of( and comment on ) her activities and that their adventures would intersect with hers. In terms of the stories. I would like them to acknowledge her whole history and back ground It is not enough to say she was a thief .The story must further acknowledge that time spent living and growing up on the margins made her forever sensitive and aware of the people who are forgotten and left behind. It is not enough to say she was a Queen . The story should also say how seriously she took that role and how hard she tried to serve all Wakandans and how much it hurt to be cast out out.I really want her to get back together with T’challa . I want her her daughter to be a part of her life and the narrative .I want her to stop pumping Wolverine .I want lots of action but I emphatically do not want ,just a series of fight scenes. I want action with purpose . I do not want simple carnage and mayhem. Some swimsuit scenes would be nice. I want her to to have adventures in Africa I want the whole world to be her setting. I want the writer not to screw it up. JJ, I think you just hit my heart strings. Would you believe I’m misty eyed? That was beautifully thought out and executed. Their are things I’ve only had in the back of mind or even not even thought about you have given voice to. I would need your approval first though JJ. Another question, what did you think of the X-men: World’s Apart mini starring Storm? You have my permission to use anything I have written in any way you want.I am seriously pressed for time but I will get back to you about Worlds Apart . Sure you can call me Ryn, we all family here! Thanks for the permission by the way. I can’t wait to hear your take on X-men World’s apart. Regarding my thoughts /take on “X Men – Worlds Apart. I like that the story and the character and her actions makes the point that it is strength of character -aka the ability to keep going no matter how much you hurt and the will to make the hard but necessary decisions and choices no matter how difficult and hear breaking they are – rather than mutant powers and meta human strengths that is the ultimate declining factor in a conflict. I like that the story demonstrates that she is sharp and smart and wise and observant. I really like that the character refuses to define who she is from a list but instead chooses to embrace them all no matter how difficult that might be . This was a very satisfying story. (Round of applause) Eloquently put Jim! I agree with everything you wrote and then some! World’s Apart was one of the only stories in which Storm while married we were able to see how all the seemingly disparate aspect of her character- Thief, queen, leader, force of nature, goddess, X-men etc; were all able to coexist and coalesce in a simply seamless manner. Since that series I have long since hoped and prayed that Chris Yost would take a stab at an ongoing with the character. Alas that never came to pass…..
By the way JJ did you realize Greg Pak was the one who wrote the “Storm kissing Cyclops” tale a few years back? I am going yo dig out the issue and check it out/study it closely. This is a great news! I like Storm. I think she’s cool, badass and fiercely protective to her friends. Even Spider-man afraid of her and said “Sorry. don’t hurricane me.” Hope she get an awesome villain too. As for villains I’m expecting Shadowking to make an appearance as well as the morlocks in some capacity. What I would kill for though is new formidable villains to truly raise the stakes in this series. Which villains would you want to see? I really hope that this is not the path the writer wants to take us down. Re reading the interviews with the writer was not re assuring.